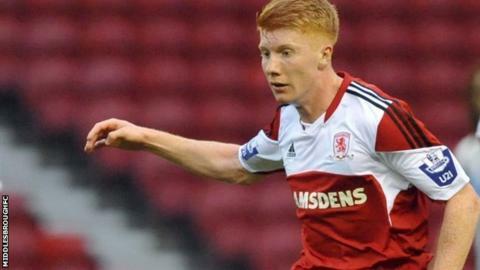 York City have signed Middlesbrough midfielder Bradley Halliday on a one-month loan deal. The 19-year-old, who is yet to make his competitive debut for the Championship side, is Russ Wilcox's fourth signing since taking over last month. He could feature for the Minstermen in Saturday's home match against fellow League Two strugglers Oxford. Wilcox said: "Brad will bring more competition because we need to have all positions covered."